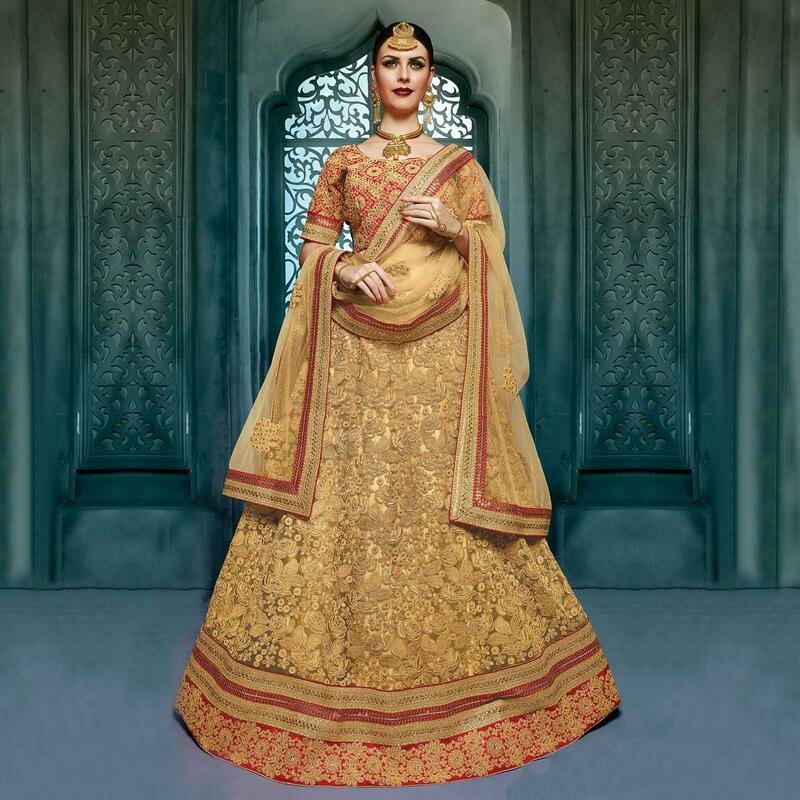 Add more glam and richness to your ethnic beauty by cladding into this charming beige - red lehenga choli. Featuring heavy floralembroidered work completed with stone & zari work upscales the overall look of this outfit. You will be the centre of attraction in this attire. The lehenga of this outfit is made from art silk accompanied with red art silk choli & beige net dupatta.